Without the State of Florida Emergency Bridge Loan program, the owners of Grand Hacienda would not have been able to continue with their plans for growth, which included opening a second location. “If not [for the loan], all of our resources for this restaurant would have deviated to the other one and we cold not have completed the goal,” she added. The Grand Hacienda, which now boasts two locations, offers authentic Mexican food, focusing on foods from throughout a variety of states in Mexico. 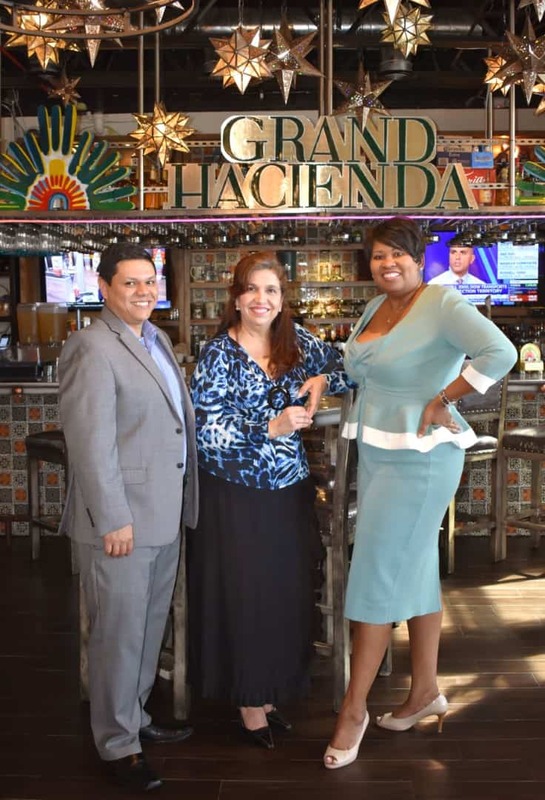 The management team – consisting of four dynamic partners with a wide range of entrepreneurial and restaurant experience – is keen on growing the Grand Hacienda footprint throughout Pinellas County, with the help of the Florida SBDC at PCED. “From when we started working with them to now, we have opened a restaurant that has 25 to 27 employees and kept the other one going, which has another 10 to 15 employees,” Johnson said. The restaurants employ approximately 35 full-time employees, with the rest being seasonal. The second restaurant opened in June, which also happens to be the same month the partners were able to repay the Emergency Bridge Loan in full. The Florida SBDC at PCED was instrumental in the planning stages of opening the second location, and business consultant Yolanda Cowart and center director Dr. Cynthia Johnson, connected the team with other economic development resources in the area to help them achieve their goals. “Our business has grown tremendously since working with the SBDC at Pinellas County,” said partner, Luis Ortega. 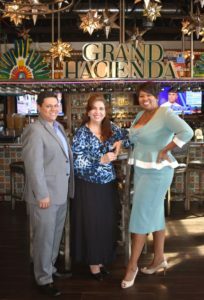 As the partners look to expand the footprint of Grand Hacienda into areas such as Clearwater and Safety Harbor, they continue to work with the Florida SBDC at PCED to source new locations, find market data, and perform financial checkups on the business.